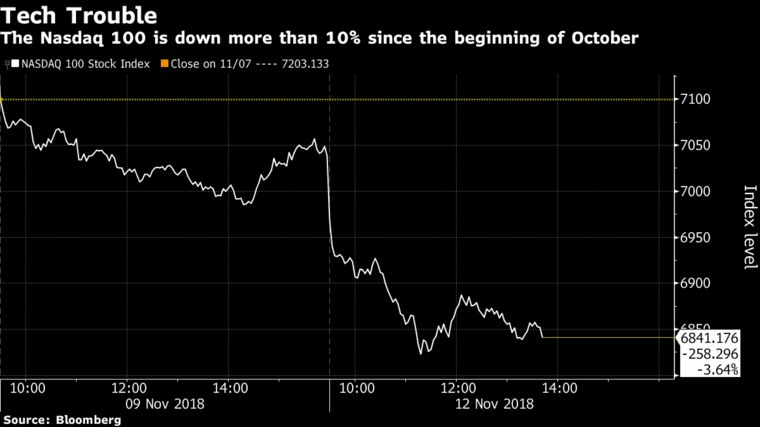 Stocks Fall as Nasdaq Down 10%! Oil Falls in Longest Losing Streak On Record! Why do you think the market is still looking bearish if October is over? What does the future have in store? An endless bull market? Or more volatility? That’s what some are beginning to question.The sheer magnitude of the possibility of the debt bubble collapsing is unimaginable. It would cause a shockwave felt all around the world. There will be no escape from the madness that will ensue. The question is, are you ready?